Nearly 600 million people in sub-Saharan Africa lack access to electricity. In rural areas, the electrification rate is as low as 14.2 percent. Those with access often face high prices for an inferior power supply or have to rely on an under-developed system that is not able to truly meet their needs. This presents a huge problem for local entrepreneurs who are working to grow their businesses in the region. In an effort to tackle this issue, Off-Grid Electric plans to expand beyond just servicing households and will soon provide solar power to local businesses starting in Tanzania. Kazi na Zola ("Work with Zola" in Swahili) is a full suite of solar appliances designed to help rural entrepreneurs create successful businesses and generate income. The company announced the project at U.S. President Barack Obama’s 7th annual Global Entrepreneurship Summit (GES) in Palo Alto, California. This year’s GES focused on generating new investments for entrepreneurs and building entrepreneurial ecosystems around the world. “Africa is a continent of entrepreneurs. 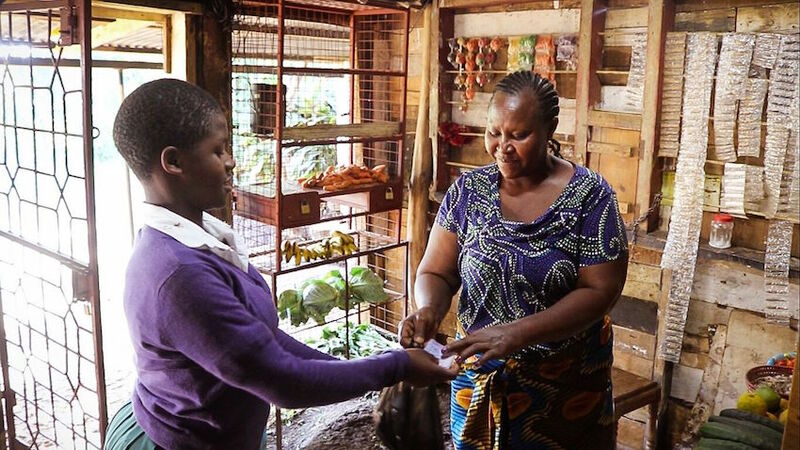 From the farmer selling her harvest, to the salon owner serving his neighborhood, to the shopkeeper charging mobile phones, these are the businesses that are the lifeblood of local communities,” said Xavier Helgesen, CEO and co-founder of Off-Grid Electric. “We built this offering as a tool to enable entrepreneurs to start and grow the businesses they've always wanted to, but haven't had the power to be able to." Kazi na Zola is a business in a box. It’s designed to give local self-starters the tools they need to run their businesses completely on solar, whether that’s a barbershop, charging station, bar or restaurant. The tailored offerings include tools such as phone charging strips and entertainment systems. The product is financed over time via small micro-payments collected via mobile, allowing first-time entrepreneurs to generate income right away. The effective development of Africa’s energy resources could unlock huge gains across the economy. Modern, high-quality and reliable energy provides things like lighting, heating, transportation, communication and mechanical power. We take these things for granted in the West, but they support education, better health, higher incomes and all-round improvements in quality of life. Off-Grid Electric is the world’s first massively-scalable, distributed energy company. It provides clean, affordable and transformative energy directly to households that have never had access to reliable electricity at a rate of 10,000 new households per month. The company’s solar leasing model removes risk for customers, offering the latest in solar technology for less than or equal to a customer’s average energy spending. The company's mission is to power the world with clean energy within the next decade through state-of-the-art solar, radical affordability and a holistic, innovative model. Off Grid-Electric delivers solar power at a price that customers can afford without sacrificing quality. For the same amount that they spend on kerosene or candles, people can afford clean energy from Off-Grid that provides 25 times more light and can power additional appliances like TVs and radios. Based on next-generation lithium batteries, hyper-efficient appliances and clever electronics, the company has reimagined what is possible for autonomous solar systems. Not only does this project increase energy access for households and business throughout the region, but it also contributes to the reduction of greenhouse gas emissions, displaces kerosene which pollutes the air with harmful particles, and promotes financial inclusion. All of these elements are crucial to economic and social development.